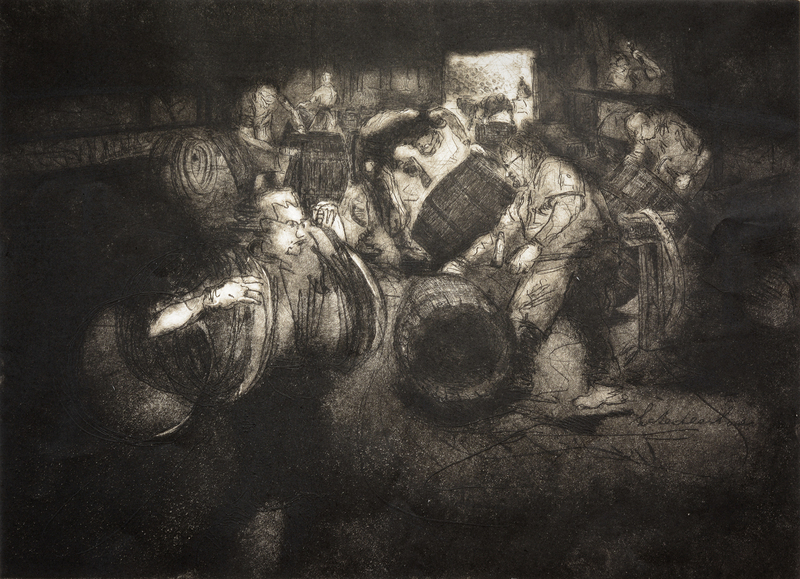 Traditions of the whisky industry in Moray are the focus of a series of etchings by an Aberdeen artist. Kate Steenhauer has been soaking up sights and smells for five months to learn as much as she can about the methods behind Scotland’s national drink. 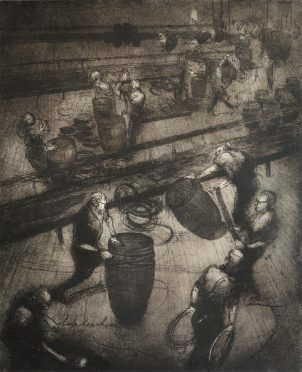 The first works released feature work underway at the Speyside Cooperage, where the artist found the mix of old and new techniques fascinating. Ms Steenhauer said: “There is so much tradition there. The skills they are using are the same as they were 100 years ago, or whenever they started. There is traditional skill but on a modern landscape. “My mouth dropped when I walked into the environment. I didn’t know where to look. There is so much to absorb. Ms Steenhauer, who is originally from the Netherlands, travelled to Speyside for several days at a time to see the work behind the whisky industry. The drawings of the cooperage are the first with future works underway showing stills being crafted and distilleries themselves. Lifting the lid on the workings behind whisky is the latest project for the artist that has previously focussed on other North East industries, including the harbour and heliport in Aberdeen. The works are being submitted to the Royal Academy and the Society of Scottish Artists for national exhibitions. 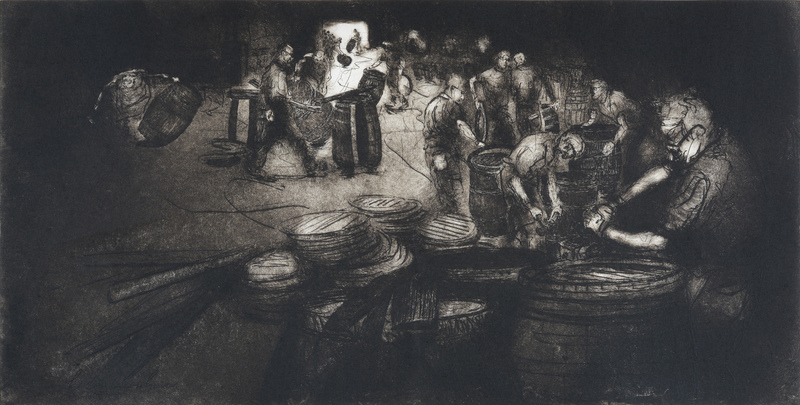 Ms Steenhauer has also tried to find an international audience for the etchings by sending them to Taiwan. They will be displayed as part of exhibitions in Stonehaven and Forfar next year.